I generally avoid recommending any specific product or service to others. I will offer my personal experiences with a product, whether good or bad, and let the listener judge for themselves as to the suitability of a particular product for their specific use. But in the case of AirEvac Lifeteam, I will not hesitate to urge anyone who happens to live in the state of Missouri, Arkansas, Oklahoma, Kansas, Tennessee, Mississippi, Illinois, Kentucky, Iowa, Alabama, Indiana or Texas to click on the following link to see whether AirEvac Lifeteam operates in your area, or in areas that you frequently visit. Living in rural America has a great many advantages over life in the big city. Speed of emergency medical response time is not one of them. When confronted with the prospect of accidental injury or a medical emergency in remote rural areas, we must do all within our powers to stack the deck in our favor any way we can. Perhaps you do not live in a rural area, but travel through rural areas often. If so, then there is always the terrible possibility that emergency medical transportation may become necessary due to an automobile accident. AirEvac Lifeteam is an organization with a fleet of Medivac helicoptors stationed in strategic rural points to address these needs. Hopefully, the need will never arise for their services, but if it should be required, then the modest annual dues would seem a trivial expense ($50 self, $55 self + spouse, $60 household of 3+ persons). Air Evac Lifeteam was founded in 1985 in West Plains, Missouri by a group of private citizens who wanted to give the people in their community better access to emergency medical care. West Plains had a population of less than 9000, and the closest major hospital was more than 100 miles away by ground transport. The road system in this hilly, remote region of the Ozarks often made it difficult to reach people in a timely manner. At that time, air ambulances typically were based in metropolitan areas. The company founders believed that the people who need air ambulance transport the most are the ones who live far away from a hospital. They thought that having a helicopter based in West Plains could be of great benefit to patients requiring transport during critical situations. Their goal was to provide a quality service that was affordable to the public. They knew that for the service to survive in this rural area, they would need other sources of funding, besides traditional fee-for-service billing. They discovered the REGA Foundation in Switzerland, which supported a nationwide air ambulance system by a membership program, similar to the ground ambulance and rural fire department programs here in the United States. After meeting with the head of REGA, Air Evac Lifeteam adopted this idea, and became the first air ambulance service in the United States to offer a membership program. Air Evac EMS, Inc. was incorporated in June of 1985, and placed its first helicopter into service at Ozarks Medical Center in August of that year. During the following year, more than 5,000 area residents became members, and Air Evac Lifeteam flew hundreds of patients during their times of critical need. Company founders knew that other rural areas would benefit from air ambulance care, and began expanding the concept. Air Evac Lifeteam’s network of bases now extends throughout the central United States. Air Evac is licensed as an air ambulance provider in Missouri, Arkansas, Oklahoma, Kansas, Tennessee, Mississippi, Illinois, Kentucky, Iowa, Alabama, Indiana and Texas. 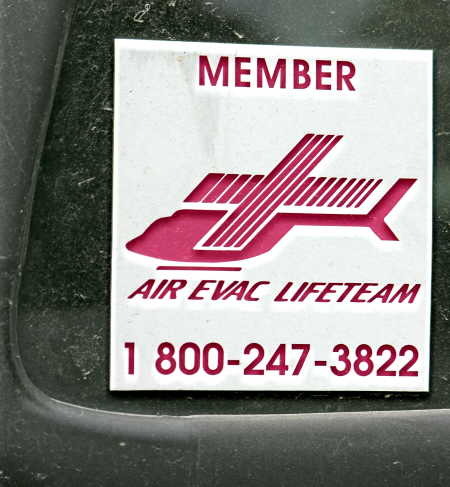 In addition, Air Evac Lifeteam operates Regional Offices, with maintenance and fueling centers in Oklahoma City, Nashville, St. Louis and West Plains, Missouri.